House Speaker Michael Madigan speaks with reporters after the first meeting of Illinois' four legislative leaders in six months. Brian Mackey reports on the latest with Illinois' budget stalemate. House Speaker Michael Madigan has consistently objected to Gov. 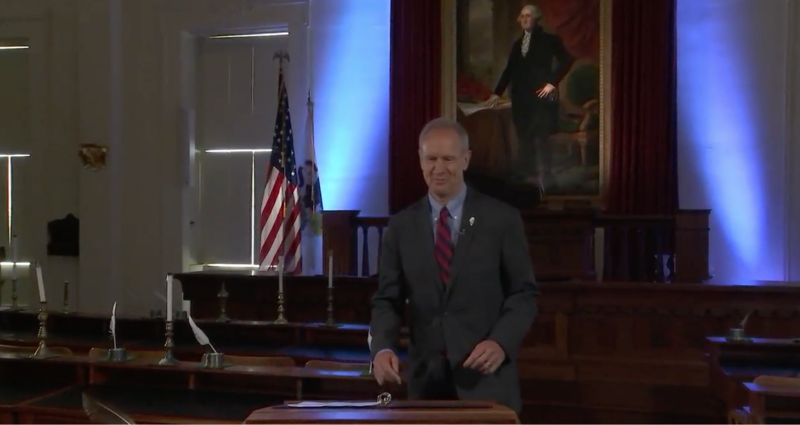 Bruce Rauner’s making his political and economic agenda a prerequisite for passing a budget. Madigan says he expects three things from Rauner: signing the Democrats’ big education funding overhaul, letting Illinois regulate workers’ compensation insurance rates, and slowing down a big change in the Medicaid program, so it can go through the normal state procurement process. “This is a governmental negotiation. 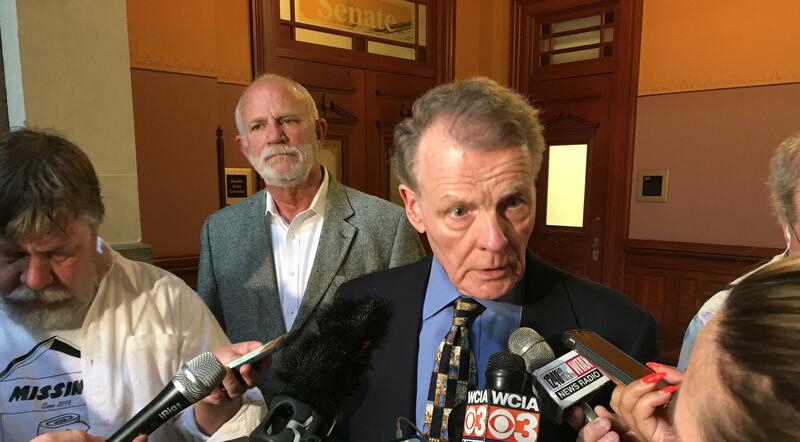 This is a situation where nobody gets 100 percent," Madigan said. "I asked the Republican leaders: Please go down to the governor and explain — in a governmental negotiation, nobody gets 100 percent. Please do that." Asked about Madigan's demands, the Rauner administration referred question to House Minority Leader Jim Durkin. Durkin said he'd discuss the speaker's demands with the Rauner administration. “Remember, there’s been a lot of complaints about the governor 'moving the goalposts’ — we just saw that today from the Democrats," Durkin said. "But you know, we can walk and chew gum at the same time. We’ll work it out." “I think the fact that they’re willing to negotiate, to me, is a little more movement than we’ve seen in the past,” he said. The next big deadline for the budget is Friday — at the end of the current fiscal year — but Illinois’ financial situation is getting worse by the day. Without a budget, credit-rating agencies are expected to make Illinois the first state with a “junk” bond rating. Last Friday, Comptroller Susana Mendoza said by August Illinois would have trouble meeting court-ordered payments. And a day earlier, the Higher Learning Commission wrote Rauner and members of the General Assembly to effectively say that unless state universities get adequate funding, they could be sanctioned and eventually lose accreditation.